This is one promotion you don’t want to miss! Buy Theta One for only $49.95* (normally $69.95+) and receive 23 BV points. This means you save $20 on our most popular nutrition supplements! This promotion runs from the 19th – 26th March 2018. Among its many benefits, Theta One contains colostrum, nature’s original super food. 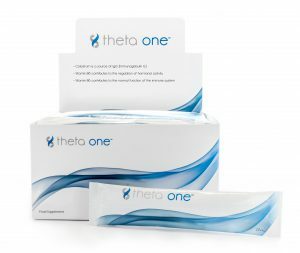 With two different forms of L-Arginine, potassium and goji berry extract, it’s no wonder that Theta One has become our most popular nutrition supplement. When combined with Theta Activate, people experience the benefits within minutes! Take advantage of this amazing value today! *LifeWave Members Only. No limit on purchase quantities. No product substitutions. Not available through Autoship, Enrollments or Upgrades. This promotion is only available where Theta One products are currently sold. No refund on promotional items for LifeWave Members. Promotion runs from 19th March 2018 at 09.00 a.m. GMT to 26th March 2018 at 09.00 a.m. GMT. Cannot be used in conjunction with any other product offer, multi-unit pricing or product promotion. +Member pricing only.